Some information may have changed since publishing this review. When I think of Christmas traditions, Waverly Hills Sanatorium has never come to mind. Mostly known for being one of the most haunted places on earth, I never thought I would be intentionally heading up that winding road in my minivan with my husband and three children in tow. We all still sleep with a night light and creepy is totally not our thing. That being said, I have always been a little bit curious about Waverly Hills. Besides, who doesn’t like a Christmas light show? 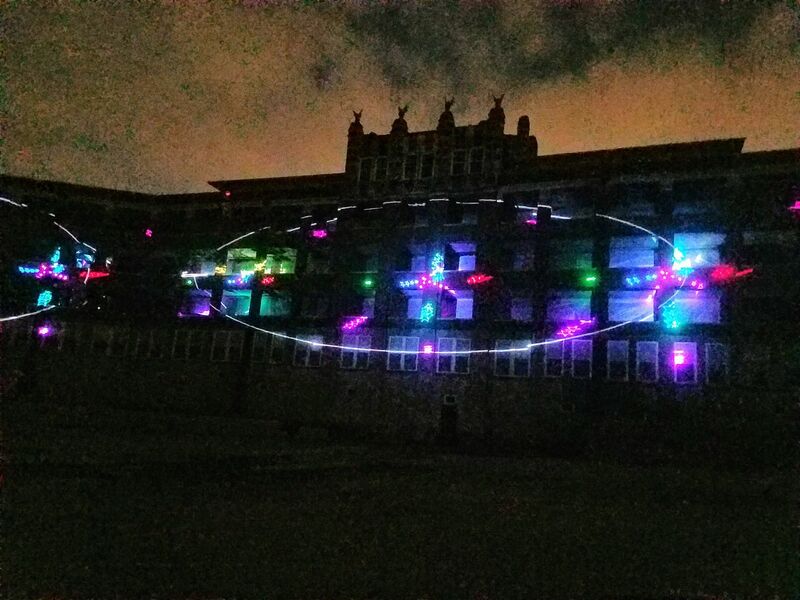 So we all piled up and headed to the Sanatorium for the Waverly Hills Laser Light Show. As soon as we got through the gates, there were Christmas lights and themes galore all the way up to main attraction! 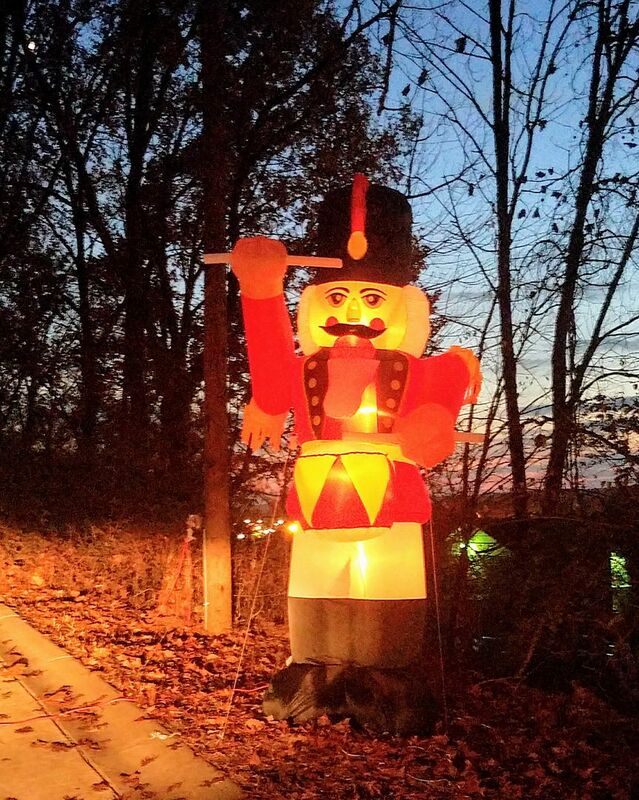 Santa and his reindeer, a nativity set, dinosaurs, nutcrackers, all sorts of inflatables, and more lined the windy drive up to Waverly Hills. We attended the first showing at 6, and we were the first ones in and got the prime spot right in the middle. Looking straight up at the looming building and all its history was actually pretty awesome and only slightly moved the needle on my creepy meter. We were instructed to turn our radio to a specific station then we waited for the light show. My kids flat out thought it was amazing!! The lights are perfectly synchronized to all the Christmas favorites from Rockin’ Around the Christmas Tree to Silent Night to a seasonal Turn Down For What. Lights danced in front of us in so many forms and kept us all entranced for the entire show. We were all singing along and some wonderfully beautiful memories were made. 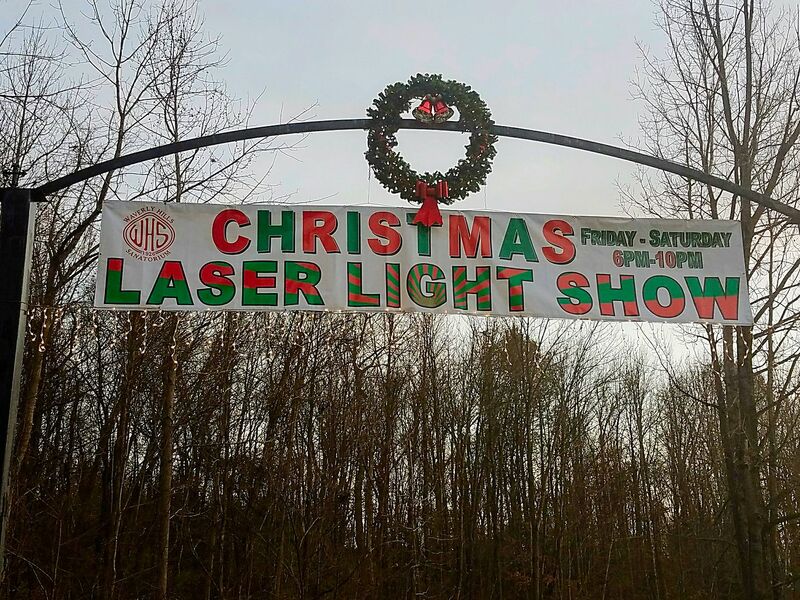 I mean, who can forget a laser light show at Waverly Hills? 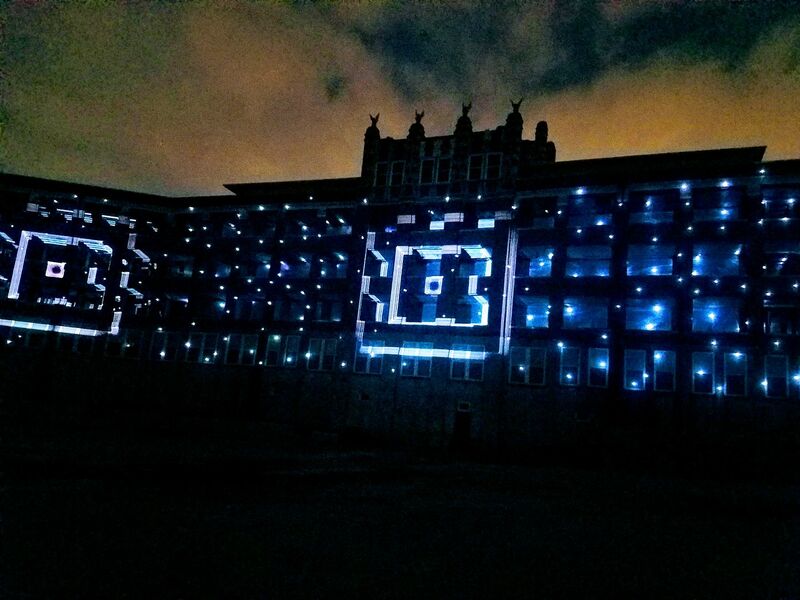 Besides the flawlessly executed lights on the building’s façade, the historical setting makes for a pretty fantastic experience. The show is appropriate for all ages; just make sure everyone takes a potty break beforehand as there are no facilities. We were able to completely shut the engine down on the van without getting cold, but a festive idea would be to take a thermos of hot chocolate and some fuzzy blankets if the weather is a little too frightful. So go enjoy the show and have some Louisville Family Fun!